From adjusting course to taking calculated risks to controlling fear and beyond, a pilot can apply many of the things they learn while flying to running a successful business. Let’s explore seven lessons that flying can teach you about your business—here we go! In business, as in flying, there’s nothing more important than proper preparation. For each flight, pilots must plot a destination course, think strategically before making any maneuver and complete various checklists of necessary tasks to have a successful trip. Similarly, the same preparations need to be made in order to run a successful business. When taking on any new business venture, there’s always a level of risk involved. The same goes for learning how to fly. Like a lot of great business people, pilots must be prudent, with the right level of caution, in their approach to risk-taking. Being able to calculate risk is beneficial, whether you’re making a lazy-eight maneuver in a plane or going after a deep-pocket client. In flight and business, you’ll experience moments of turbulence. You may have to temporarily shift course or slow down, but it should never be taken as a huge threat to your success. Likewise, when you own a business, you may experience times that will make you feel off-balance or shaken—but you won’t be brought down. Instead, you make adjustments as you go, fearlessly controlling the direction your business goes. You may be surprised to know that the inventors of flight, the Wright Brothers, were self-taught engineers who didn’t attend college. However, even though they may not have had a formal education, they were always experimenting and testing their aircraft, putting themselves in dangerous, life-threatening situations. But they never gave up—instead, they constantly studied and improved their invention until they were successful. It’s just as important that you as a business owner continue to learn and grow too; stay up-to-date on industry trends and markets, and learn new skills and tools that you can use to master your craft. As you go through flight school, you’ll be introduced to a wide amount of challenges, some that may scare you to your core at first. After enough training and experience in the cockpit, you’ll learn how to become a master of controlling the plane. Challenges in the sky, like challenges in business, can teach you how to navigate difficult, often scary situations with calm, cool ease. By accepting the challenges that come your way and learning from them, you’ll get better at handling similar problems the next time. Burnout can affect even the most successful business owners. Working long, hard hours trying to develop an idea into a full-fledged business operation isn’t an easy task. The freedom of flying can teach you a lot about taking personal time to enjoy things that interest you. When you’re up in the air, you get away from office concerns, from client calls to office emails to new business requests—even those reports that are overdue—letting you focus on something that gets you excited. Once you get back on the ground, you may even wonder why you were so concerned about work in the first place! There’s no greater freedom than flying through the sky uninhibited. However, situations will always arise, whether it’s bad weather or air traffic, in which you’ll need to adjust course. Just as you’ll need to make adjustments in the air, you’ll need to make adjustments to be a successful business owner. Always keep a sharp eye on competitors, industry trends, movements in the market, and never stop navigating toward opportunity. Sometimes, you’ll need to adjust course to continue in the direction of your desired destination. 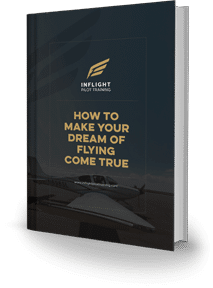 Flying a plane will teach you a lot about running your business, from the ability to plot your own course for the future to adjusting course instantly to the opportunity to experience the world in a new way. All you need to do is be strong in the face of turbulence and your career as a pilot and successful business owner can reach greater heights. Do You Want to Learn How to Fly? Get in touch with Inflight Pilot Training today! Inflight is a leading pilot training company serving the Twin Cities area. 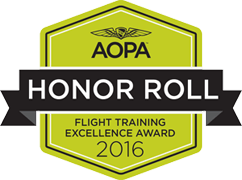 With a reputable training program and deep roster of highly skilled flight instructors, it’s our goal to help those who’ve dreamed of flying realize their potential of becoming a pilot. We can help you pursue your passion of taking flight – get in touch with our team of flight instructors to find out more.